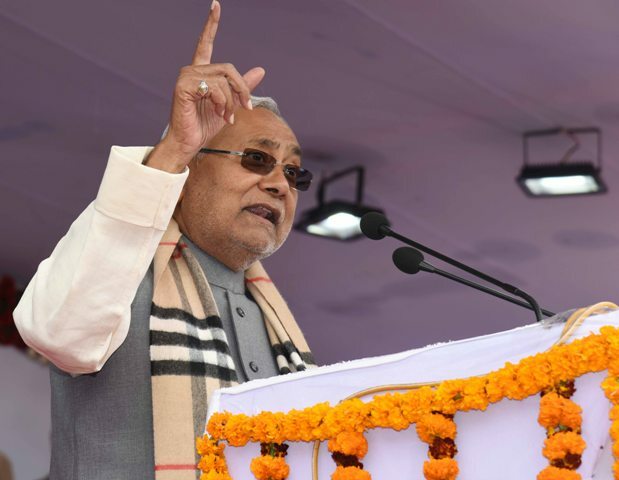 PATNA: The ruling JD-U in Bihar today denied chief minister Nitish Kumar was in the race for the prime Minister although it described him as a leader with “big stature” in the NDA. “Narendra Modi is the NDA’s prime ministerial candidate and he will return as the Prime Minister again. Nitish Kumar will have a role to play, of course. Among NDA constituents, the JD(U) is the third largest after the BJP and the Shiv Sena. But nothing more should be read into this,” JD-U’s national vice-president Prashant kishor was quoted as telling news agency PTI on Monday. He went evasive when asked about chances of Kumar becoming the Prime Minister in the event of the BJP falling short of adequate numbers. “No discussion of the sort took place. Kumar is a big leader. Anybody who has ruled a major state like Bihar for close to 15 years is bound to have a stature. But it would be unfair to him if we start considering him a claimant for the prime minister’s post,” he added as per the PTI. Kishor who joined the JD-U last year is considered very close to the chief minister and holds at number two position in the party.